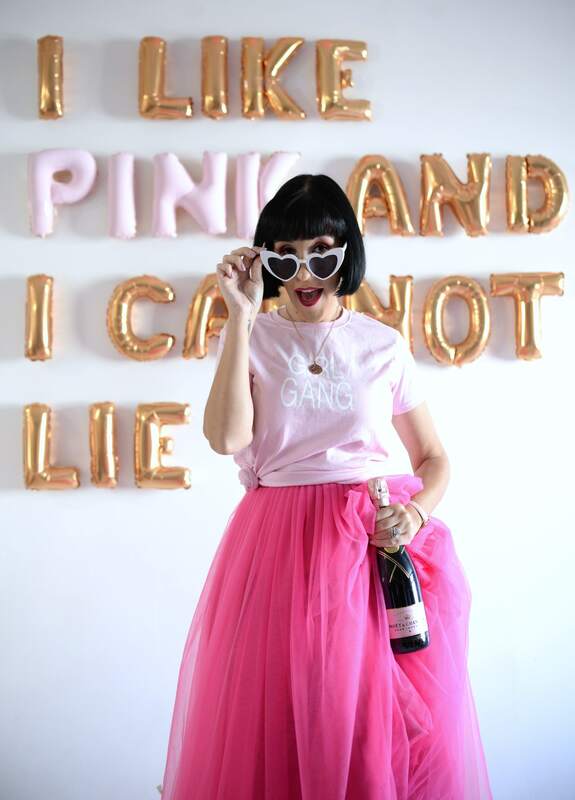 I’m here to introduce you to a company that makes bath-time fun again all while getting a relaxing and spa experience at home. 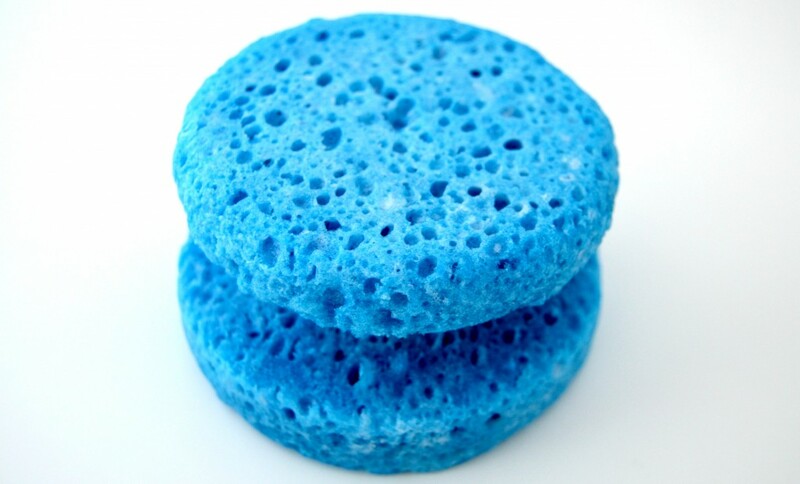 Spongeables are infused with cleansing soaps and gels along with skin care ingredients that give a rich, creamy lather and luxurious fragrance for all in one cleansing, exfoliating, moisturizing and massage treatment at home. 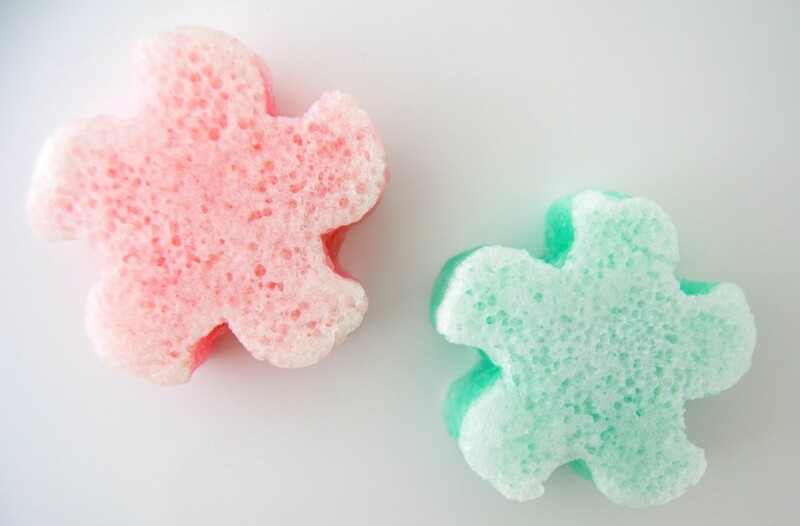 You won’t need any other product in the shower or bath as its formulated with everything you need to get a clean, healthy, beautiful, soft skin and with its special technology this anti-microbial is hypoallergenic that stays fresh day after day, use after use and can be used up to 20+ times. 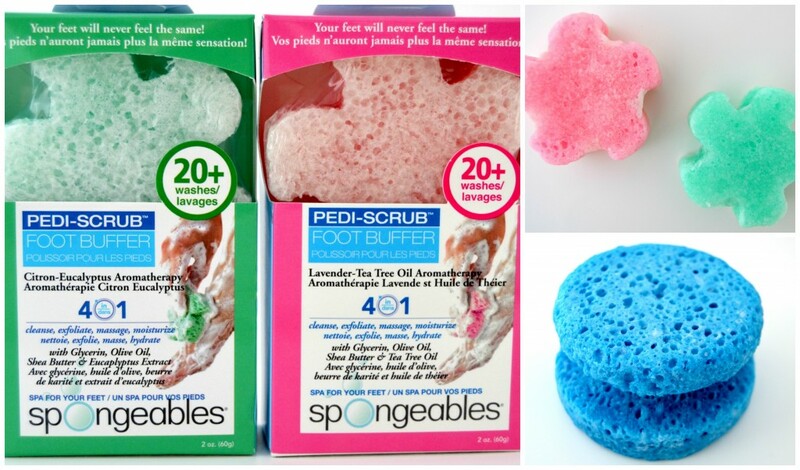 Spongeables Pedi-Scrub 4 in 1 Foot Buffer helps to cleanses, exfoliates, massages, and moisturize tired, sore, dry feet and is good for about 20 washes. It’s infused with glycerin, olive oil, and Shea butter in 2 relaxing scents, Lavender Tea Tee Oil Aromatherapy and Citron-Eucalyptus Aromatherapy. 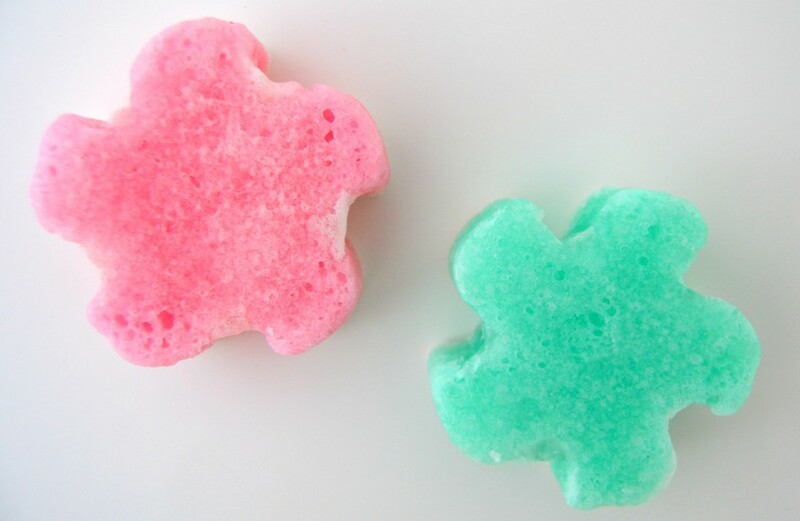 It features 2 different sides, the first side is soft and gentle to help cleanse and soothe the feet while the other side is scrubby, scruffy texture that exfoliates rough, dry skin and massages it to get the circulation going. These Pedi-Scrubs truly are a spa treatment for your feet and retail for $7.99. 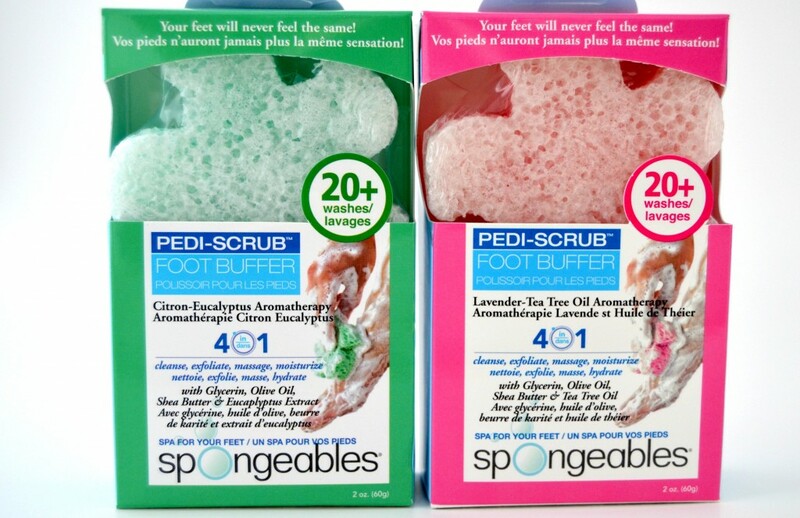 Spongeables Pedi-Scrub 4 in 1 Foot Buffer couldn’t be more easy to use, its easy to hold, even when wet, and the amount of lather you get is unreal. You start by wetting the buffer, then use the soft side to cleanse the foot before flipping over to buff those dry heels and toes. It gives the shower a relaxing aromatherapy scent and the buffer side does an excellent job at massaging my sore, tired feet. I was left with silky smooth, soft feet with a nice light scent. I also think these would be excellent to travel with as their lightweight, leak-proof and meet all airline restrictions. 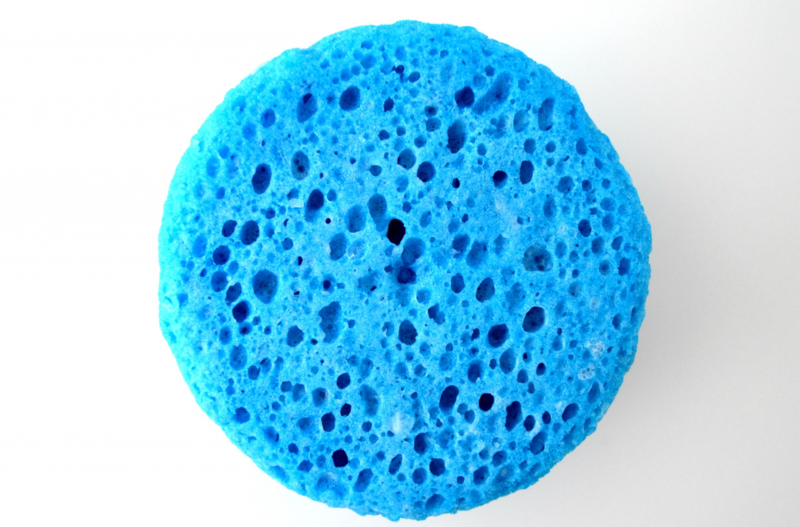 Now you know I couldn’t have fun in the shower and bath without letting Derek join in the fun, luckily for me Spongeables have a product designed just for him with their Spongeables Clean Power for Men. This 4-in-1 is pretty much a full-proof grooming product for your man that not only cleanses the skin, but refreshes it, hydrates it and gives a deep massage for the entire body. 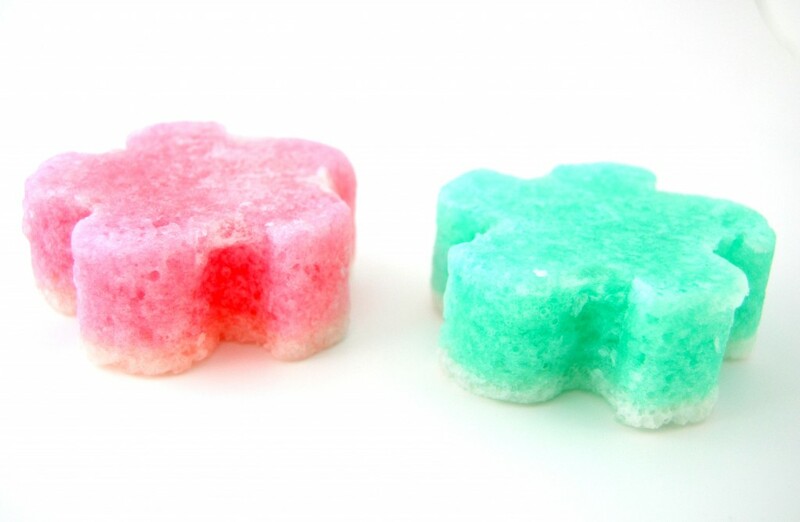 The soap is released once the scrubbing begins and is enriched with shea butter and olive oil to keep skin supple, prickly pear cactus essence to keep the skin hydrated and a brisk aroma refreshes and revives the skin. It’s good for about 20 washes and retails for $7.99. 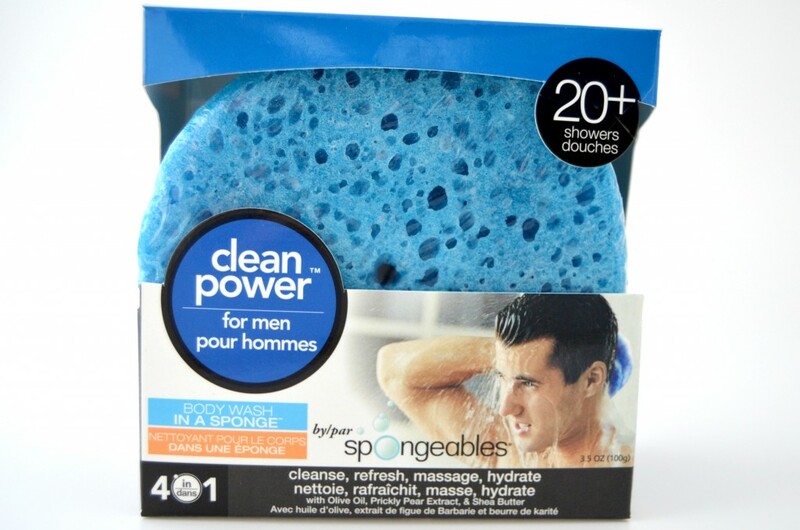 Spongeables Clean Power for Men has a very manly scent that I can smell throughout the house every time Derek’s in the shower. Derek says it is easy to hold, even when wet and the more water that’s added, the more it lathers. 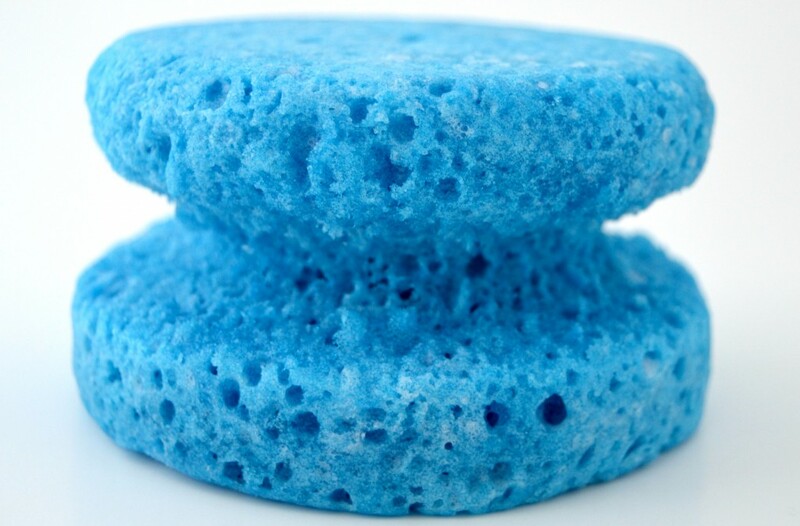 He starts with just a small amount of water, rubbing it in a circular motion to give a full body massage and relieve tension before adding more water and squeezing the sponge to work up more lather before cleansing his body. He says it really wakes him up in the morning with a fresh, manly scent that leaves his body not only squeaky clean, but soft and hydrated. I actually had one item similar to the foot buffer last year, but it was meant for the entire body. It was a little harsh, but smelled really good (like mango)!